TM. What are the key things that can be gained from visiting a show like ISH? YO. As with any exhibition it’s a great platform to see new innovative, technologically advanced product. 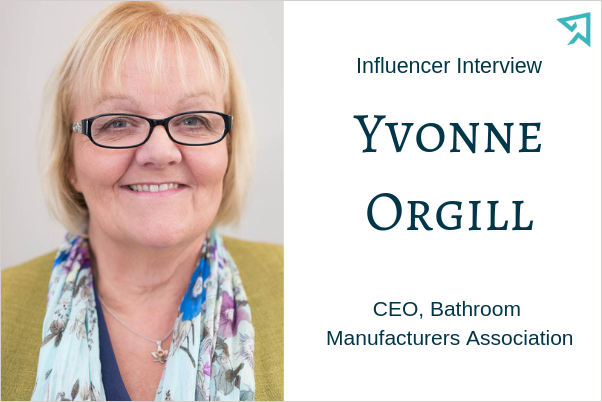 The industry is embracing and embedding technology into bathroom products, so this is the ideal place to see new innovations first-hand and ask questions on the product to improve your own knowledge. Consumers are more savvy than ever before and with access to the internet where they can glean information that historically was not easily or readily available to consumers, they have come to expect retailers/merchants and manufacturers to provide this information and to link environmental savings to their systems. By attending exhibitions – with ISH being the biggest in Europe – you can compare product, see new market entries, and also network. Networking is a valuable source of information – not just social! TM. In what way can a visit to ISH help inform your understanding of emerging trends? YO. We live in a fast-moving world where time is a weakness or in short supply. People expect, and demand more and more. Manufacturers are seeking that USP – put the two together and you get an emerging trend – what better place to see this than at the largest exhibition in Europe? Not only are there manufacturer and service provider booths, but also a wealth of seminar programmes on emerging technologies and trends – sometimes, due to limited time at the show, this often gets missed. This is an opportunity to keep ahead – and one that can set you apart from your competitors – especially if you are a retailer. TM. How can this be useful for business? YO. We are all on the hunt for that USP – this is what keeps us at the forefront. An exhibition is the right platform to launch new product, and the right place to showcase to the wider industry that a company is forward thinking, on the environmental path, and is ahead of the political agenda – it’s a great opportunity. I am seeing more and more manufacturers using greater percentage of recycled material in new product design – design for today for deconstruct tomorrow – a mantra manufacturers are using, and one that dovetails with the environmental agenda. TM. How should a visitor set about making the most of ISH and the events around it, given the scale of the show? YO. Do your research on who is exhibiting before you go and check whether any of the supporting seminar programmes are of interest – thinking outside of the box on some subject matters can often end up being informative and useful. TM. What your top tips for a first-time visitor?